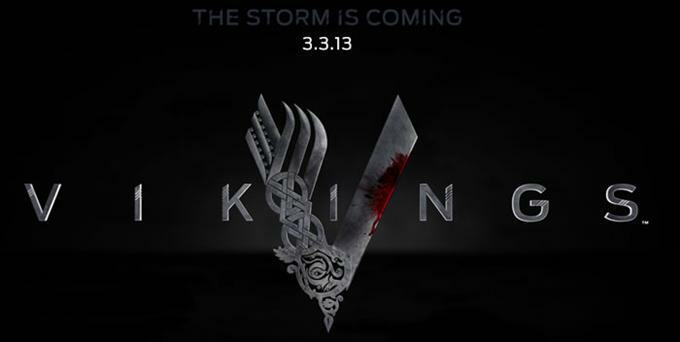 ‘Vikings’ Pilot Premiers on the History Channel in the USA tonight at 10/9c. The 9 part series features Stunt Guild Ireland performers Alan Walsh, Brendan Condren, Eimear O’Grady, Gerry Behan, Norman Kelly, Paul Thompson, Peter Dillon, Phil Lonergan, Tony Condren, Aoife Byrne, Caroline Simonnet, Conor Hegarty, Darron Costello, Keith Ward, Marc Redmond, Michael Hanna and Stav Dvorkin. The HISTORY® original series ‘Vikings’ transports us to the brutal and mysterious world of Ragnar Lothbrok (Travis Fimmel), a Viking warrior and farmer who yearns to explore—and raid—the distant shores across the ocean. His ambition puts him at odds with local chieftain Earl Haraldson (Gabriel Byrne), who insists on sending his raiders to the impoverished east rather than the uncharted west. When Ragnar teams up with his boat builder friend Floki (Gustaf Skarsgard) to craft a new generation of intrepid ships capable of conquering the rough northern seas, the stage is set for conflict. ‘Vikings’ was shot in full in the Wicklow Mountains and the new Ashford Studio. Created and written by Michael Hirst (Elizabeth, The Tudors).